Former New England Patriots NFL football player Aaron Hernandez listens during a pretrial hearing at Suffolk Superior Court in January. 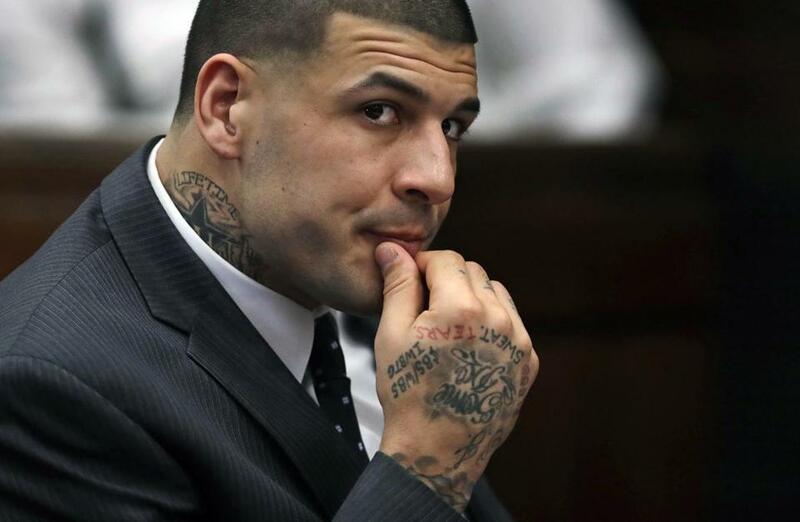 The severe winter storm moving into the state has postponed the start of the Boston murder trial of former New England Patriots player Aaron Hernandez, who is accused of the July 2012 slayings of two men in the South End. Jury selection, which had been scheduled to begin Monday, will now start Tuesday in Suffolk Superior Court, court officials said. Prosecutors allege that Hernandez shot and killed Daniel de Abreu and Safiro Furtado while driving in a car with Alexander Bradley. Bradley is expected to testify against the former Patriots star. Hernandez, who has pleaded not guilty, also faces a charge of witness intimidation for allegedly shooting Bradley in Florida in 2013. Hernandez, 27, is already serving a life sentence for the murder of Odin L. Lloyd in 2013.